No place: no publisher, 1935.
. . . . . . 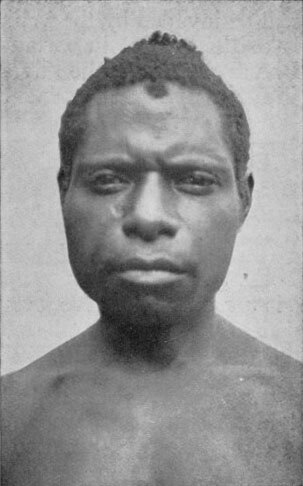 In the heart of New Guinea, 200,000 people comprising various tribes have recently been discovered in a territory hitherto unexplored by White men. Government Patrols and Explorers who have entered this region speak of the fine physique, intelligence and virile qualities of these tribes, and report that they are possessed of an advanced civilization of their own, with cultivated gardens laid out symmetrically, and a remarkable system of irrigation. 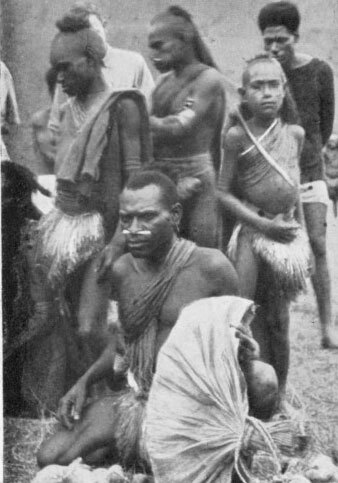 These natives are believed to be of Melanesian stock, though of Egyptian or Semitic appearance. Little is known of their customs or religion; they have a belief in ghosts and spirits, and to some extent cannibalism is prevalent. . . . . . . The Country is rich in material resources and in time will be invaded by the White Settler: therefore, it is of the utmost importance that the Native should be prepared for the advent of the White Man's civilization, and all its attendant dangers. This discovery provides a new opportunity to those who believe that "Christ is the Desire of Nations" to take the Christian Message to at least some of these tribes, who, as yet, have not heard of the "Saviour of the World." The Government is prepared to give every encouragement to Christian Missions to undertake the evangelization of the newly discovered people. This discovery means that a door has been opened to the Gospel Messengers, and we must see in this, the leading of the Holy Spirit, and a challenge to the Church. . . . . . . Our appeal, therefore, is to the whole of the Anglican Communion to share with us this responsibility in taking full advantage of this new opportunity to advance Christ's Kingdom amongst these newly discovered tribes. The Melanesian Mission, the Church's own agency, is willing to undertake its share in this work of evangelization, as the Mandated area of New Guinea is in the Diocese of Melanesia. 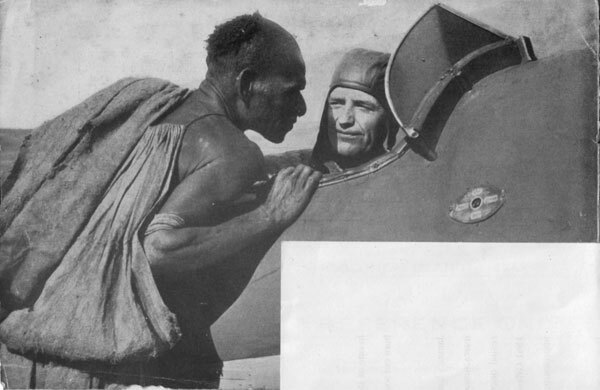 The romantic story of the Melanesian Mission is not yet at an end; here is an opportunity as romantic in its appeal as any episode in the long and fascinating history of the Mission, and with it comes the insistent appeal to engage in pioneer work for Christ and His Church. The uplifting of the Cross of Christ can still conquer heathenism and all it stands for. It is in that unshakable belief that we unhesitatingly ask the whole Church to support us in this great task. . . . . . . The present funds of the Melanesian Mission cannot stand the strain of financing this new Venture, so we appeal to all to share with us this new responsibility and to experience with us something of the joy of knowing that fresh conquests have been made for Christ and His Church in the heart of New Guinea. The initial cost of opening up this work and fostering its educational and medical work will be considerable. 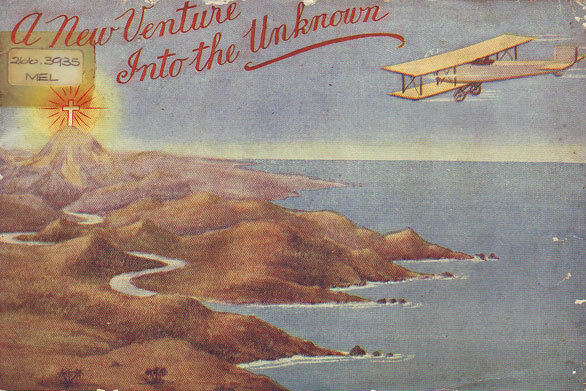 Transport will have to be mainly by Airplane owing to the nature of the country, and this will be very expensive. £5,000 is needed at once to establish new Mission centre ; and £2,000, new money, will be required annually to maintain them efficiently. The Melanesian Mission receives no financial support from any other Missionary Society. Will the Church at home respond? A MESSAGE FROM THE BISHOP OF MELANESIA. 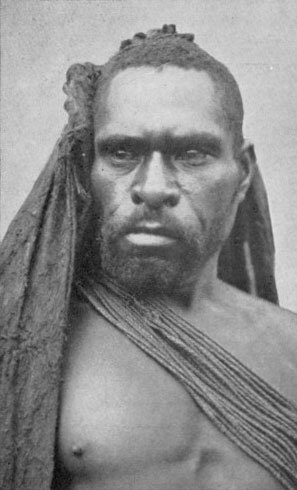 "I have just returned from the interior of New Guinea and I should like the people at home to know what a splendid opportunity is now open to us to establish work among the newly discovered people, and I shall await news of the response to your appeal before I can make final plans to advance into this territory. "The area in which we have decided to work is thickly populated by a people known as the KUKUKUKU. 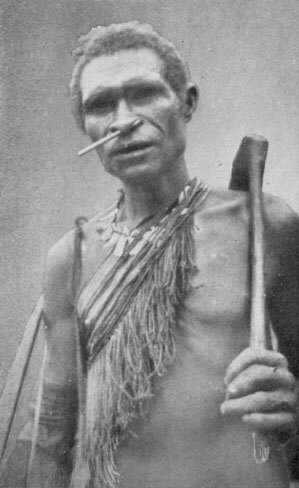 It is estimated that these tribes number at least 40,000 heathen and are untouched by any other mission. The people are very wild and the country is mountainous: three priests have volunteered for this difficult and dangerous work. The Rev. V. H. Sherwin, an experienced pioneer missionary, has already penetrated into the country and come into touch with the people. "Wau will be the base for the new venture. Already there are 2,000 white people in the Morobe area, and they have built for themselves at Wau a beautiful Church which I have just consecrated. I am anxious that we shall not only establish mission centres among the KUKUKUKU people, but also provide for the spiritual needs of our own people at the base." The ARCHBISHOP OF CANTERBURY very warmly commends this most important pioneer work and earnestly trusts that the Melanesian Mission may be enabled to enter upon it. President of the Melanesian Mission--THE MOST REVEREND THE ARCHBISHOP OF CANTERBURY. Chairman of English Committee--THE RIGHT REVEREND THE BISHOP OF STEPNEY. General Secretary-- THE REVEREND A. E. CORNER. Hon. Treasurer--THE REVEREND C. H. GOULD. Office Address--MELANESIAN MISSION, CHURCH HOUSE, WESTMINSTER, SW 1.